Dr. Stephen Labbe graduated with honors from the dental school at Howard University and then completed a General Practice Residency at the V.A. in West Haven, CT. Dr. Labbe returned to Howard University to specialize in Orthodontics. He completed a Master’s Thesis on the Comparison of Bonding Materials, and graduated first in his class, earning a Certificate in Orthodontics. 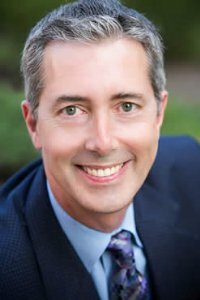 Dr. Labbe joined the practice in 1990 and presently practices with the LFO team at their four locations in Annapolis, Bowie, Gambrills, and Greenbelt. Dr. Labbe lives in Annapolis with his wife, two children, and their two dogs, Riptide and Buoy. He is a life-long fan of the Boston Red Sox and Dallas Cowboys; he enjoys anything to do with the outdoors and soaks up anytime he can to spend time with family. After graduating from the University of Notre Dame where he played Division I hockey, Dr. Rob Bolton went on to graduate with honors from the University of North Carolina School of Dentistry. He received a commission in the United States Navy Dental Corps and served as the Dental Officer on the USS AUSTIN LPD-4, where he was deployed for 11 months in support of Operation Enduring Freedom and the Global War on Terrorism. Following this experience, Dr. Bolton went on to specialize in Orthodontics and received his Certificate and Masters in Orthodontics from the State University of New York at Buffalo. Upon graduation, he served as the orthodontist for the third dental battalion in Okinawa, Japan, treating active-duty Sailors, Marines and their family members. 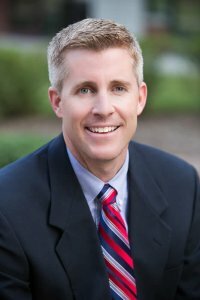 Before joining Labbe Family Orthodontics, Dr. Bolton was the orthodontist for the Midshipmen at the United States Naval Academy. He currently lives in Annapolis with his wife and six-year-old daughter and, in his free time, serves as the assistant coach for the United States Naval Academy ice hockey team.